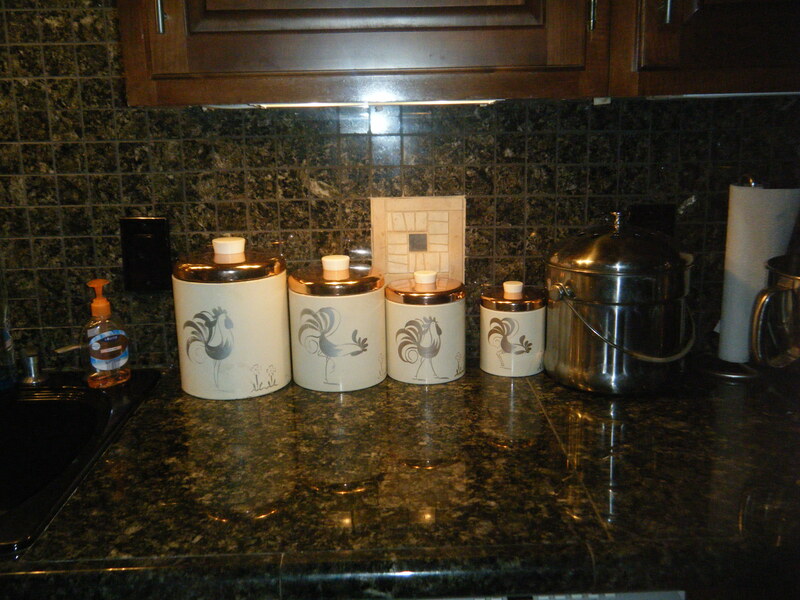 Chad and I have chickens so when I spotted these vintage rooster canisters in my shop finds I decided to bring them home and use them in our kitchen. 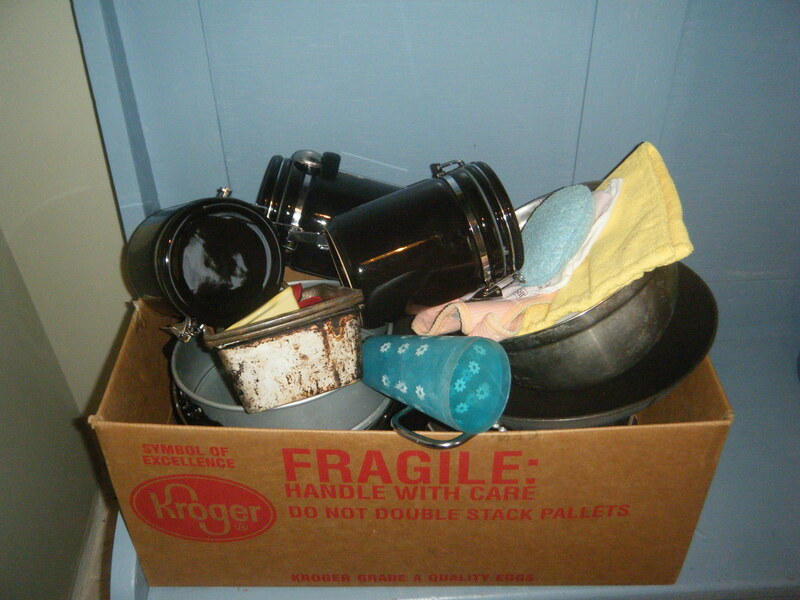 There is one for Flour, Sugar, Coffee, and Tea, although they’re not marked that way. They have really wide mouths so I can dip a big measuring cup in with no problem. Their lovely cooper lids add warmth and glow. 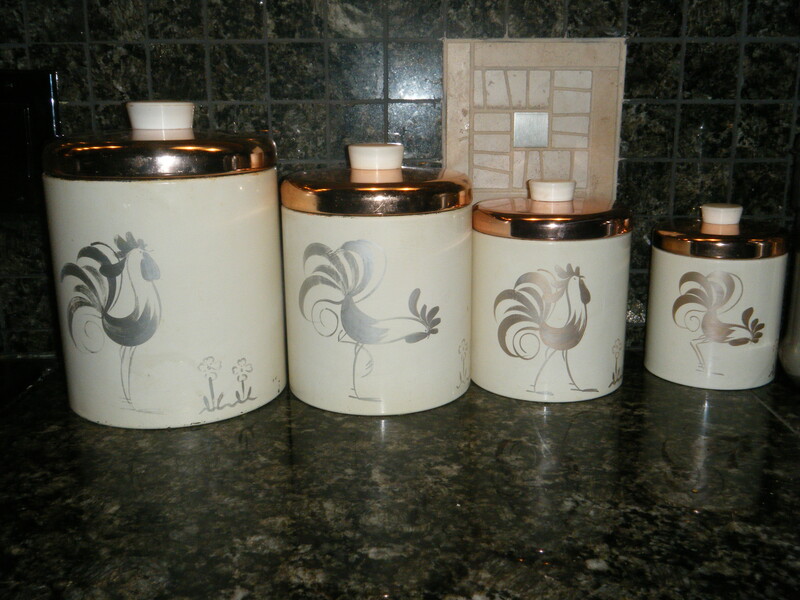 So the smaller, more contemporary canisters went to my “outbox” and will be headed to the Goodwil this weekend!